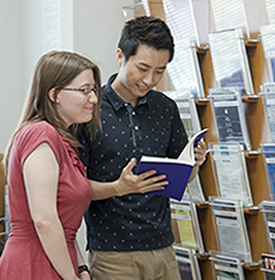 This section was created to introduce the research areas and activities of each OSIPP faculty member, who have provided their books and other materials to the OSIPP library. The following list includes only the materials donated to the section. * Click on the names of faculty members to view the details on each researcher. Click on the titles to see the detailed online public access catalog (OPAC) information. © 2015 大阪大学大学院国際公共政策研究科ライブラリー All Rights Reserved.